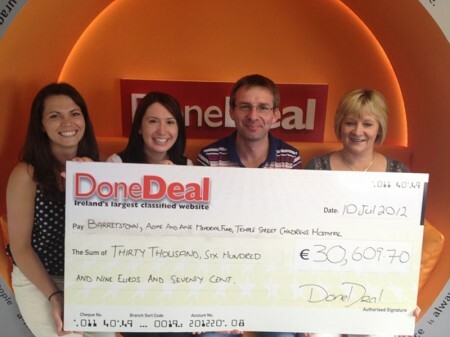 The committee here wish to say a huge thank you to Declan and all at done deal.ie for their enormous contribution to The Aoife and Aine Kennedy Memorial Fund. We are very grateful and proud on behalf of our two daughters Aoife and Aine who died so tragically both aged 5.5yrs. Done Deal are an inspiration to all and I know after meeting the girls from the two other charities, they are as grateful as we are.